BLOOM considers that consumers have a role to play in the transformation of production practices which are socially and environmentally irresponsible. This implies that they can freely access information about any product. However, informational asymmetry remains the rule. To save their branding, producers and distributors only deliver partial and biased information. Therefore, consumer protection is fully part of BLOOM’s struggle to ban deep-sea bottom trawling and the establishment of sustainable fisheries. To do so, BLOOM denounces fraudulent practices and helps consumers to realize the destructive impact of certain fisheries on the marine environment. The development of consumer guides and the production of scientific investigations meet this goal. After the crises that shook the meat industry in Europe (mad cow disease, horse meat fraud), it was time to investigate the fish industry. Investigations have revealed very high rates of fraud in the United States or in some European countries such as Italy, Spain and Ireland. BLOOM joined the NGO Oceana, researchers from the Institut National de la Santé et de la Recherche Médicale (INSERM), the Museum national d’Histoire naturelle and Terra Eco magazine to conduct a similar study in France. Against all odds, France makes a good impression with a substitution rate of species of only 3.4%. Fraudulent labelling depends on the type of distributor involved and the species of fish sold. This is admittedly residual in France, but the economic, sanitary and environmental consequences induced justify our whole attention. Intermarché’s attempt to eco-launder its destructive fisheries through a fraudulent label led BLOOM to file a claim with the Autorité de Régulation Professionnelle (Labor Regulation Authority). BLOOM killed two birds with one stone. On June 21, 2012, the Jury de Déontologie Publicitaire (Advertising Deontology Jury) took the decision to take away Intermarché’s advertising campaign as well as its “self proclaimed-label” (as described by the Jury) whose logo eerily looked like the Marine Stewardship Council (MSC) ecolabel. BLOOM helps consumers find their way by relaying updated sustainable fish guides. However, given the fact they present contradictions between them and difficulties of understanding, BLOOM designed an alternative guide of responsible consumption that ranks the six major French food retailers according to the sustainability of their fish supply strategies. Devoting its energy to implementing sustainable fisheries, BLOOM is naturally interested in the certification procedures while maintaining a necessary critical distance towards them. 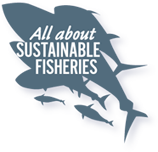 Claire Nouvian, founder of the NGO, participated in the creation of a scientific study analyzing 19 objections to sustainable fisheries certified by the Marine Stewardship Council (MSC), one of the most influential existing marine ecolabels. The study condemns the laxity presiding the application of the principles of sustainability of the label as shown by the New Zealand hoki fished with deep-sea bottom trawls. According to a survey conducted by BLOOM, dedicated to school catering, New-Zealand hoki comes at the top of the list of deep-sea fish served in 90% of the observed school canteens. In order that consumers caring about the environment can continue to take care of their skin without any remorse, BLOOM focused on the cosmetic sector and producers of creams containing squalane (a non-fatty moisturizer ideal for the confection of beauty creams but largely made from deep-sea shark liver oil, some of the sharks being critically endangered).